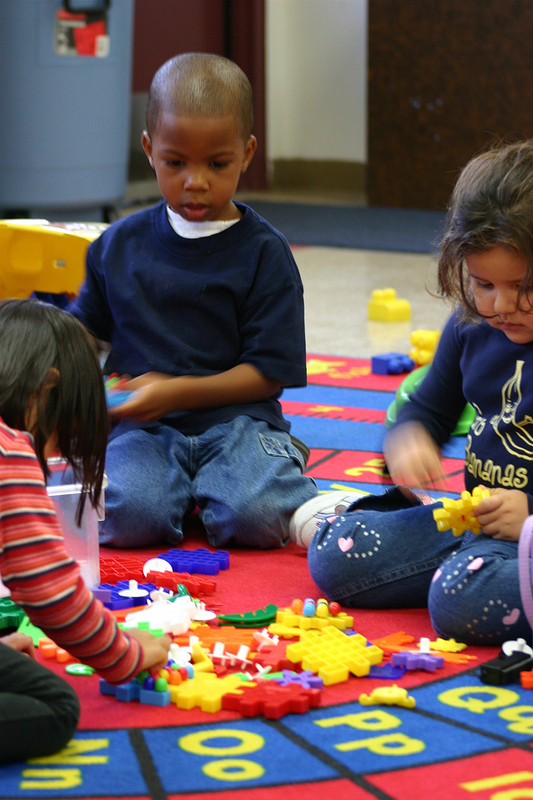 Our preschool program offers children from ages 3-5 the skills needed to start Kindergarten. Our Bible based curriculum will teach children Bible stories from both the Old and New Testaments which are used to teach God as creator and Jesus as Lord and Savior. Basic Christian principles and cognitive skills are a premise for each class. Small World also offers fun learning experiences focusing on shapes, numbers, letters, and prewriting skills. Our center based facility offers areas such as: blocks/cars, reading, music, dramatic play, science, and gross motor. The program also provides opportunity for children to understand and follow directions and instructions which are essential in developing self-confidence and independence. Our preschool classes are also a part of our amazing summer camp programming! Our goal is to provide opportunities for each child to develop physically, emotionally, socially, intellectually, and spiritually.